It’s not always easy to find just the right home health care providers for you or a loved one. You naturally worry about a lot of things: are the caregivers professional and experienced? Will the caregiver bond with my loved one? What do I do if they don’t? 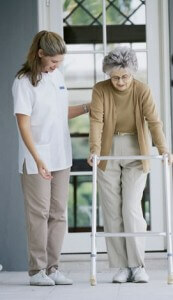 When researching a home care provider, there are a number of things you can look at. Don’t hesitate to ask questions to ensure that the provider you choose will offer the services that you or loved one needs. One of the first questions to ask when contacting a home health care provider such as OptimumCare Home Care Services is whether a free in-home consultation is offered so that the provider and the family can get together and discuss needs and issues. Another important question is to determine whether the home health care provider is Medicare and Medicaid certified. When you choose an agency that is Medicare-certified, you can rest assured that the home health care agency you’re researching meets federal standards for patient care. Ask about the level of input that you or your loved one will have on care options. For example, home health care providers may offer routine services, but most are willing to cater care plans based on the needs, desires, and wants of the care recipient as well as their physical and mental and emotional needs and situation. That includes changes in needs and status short-term and long-term. Find out if care providers of the agency have undergone background checks. In addition, find out if they have a valid driver’s license, a clean driver record, and meet car insurance requirements, especially if that care provider will be providing transportation to and from medical appointments, social events, or errands. Most home health care providers today supervise their workers on a daily or weekly basis, scheduling caregivers with a care recipient on a more or less permanent basis. This ensures greater comfort levels with the care recipient and reduces confusion. This approach also gives a care provider and the recipient a chance to bond with each other, increasing comfort levels and peace of mind. These are just a few of the most important questions to ask when approaching a home health care provider. Don’t forget to rely on gut instinct. Ask for brochures or printed information that you and family members can look over before making a final decision. Check with the Better Business Bureau to ensure that the home health care provider you choose has a good reputation in your region.